In a conversation that seems to be between a parent and a child, the parent is sharing all these things and more in a loving way. This is the kind of book I would have loved to read to our kids, but I didn’t need a book to tell them these things. But, the book is a reminder of all the things that our children need to be told when the world seems to be tearing others down. I would expect that there are some words and situations in this book that younger kids (who this book is targeted to) wouldn’t understand. That opens up a conversation you can have with them about what it means to be courageous, humble, or compassionate. It’s never too early to learn these words. The illustrations are unique and every page features hands. On the page where it talks about protecting the child, there are two hands forming a basket like they would hold a tiny animal. Both hands are of a different race and there is a child sledding down the hill of the hand and another child sitting in the palms of the two hands. There are also animals like a mouse or a cat or fox on the page for the child to find. HAVE I EVER TOLD YOU? has won an Indie Excellence Award and a Next Generation Indie Book Award. It is well-deserved and quite a beautiful, touching book to share with your child. 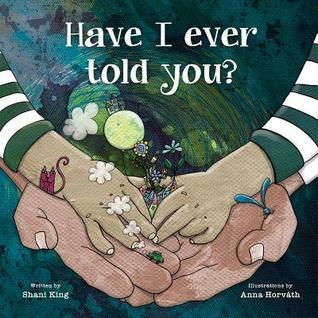 Shani King wrote HAVE I EVER TOLD YOU? as a note to his children, to remind them that they are amazing in their individuality and that they have the power to choose who they want to be in this world. The illustrations create a masterful visual narrative: warm, witty, simple, profound, and as ferociously empowering as a children’s book can be. 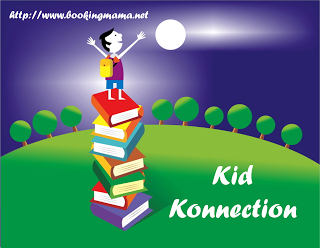 I will be linking up this review with other bloggers on Booking Mama’s Kid Konnection, HERE. There you will find other children’s and YA book related posts every Saturday.